Banos is a very tiny town, essentially hemmed in by a ring of mountains. You can walk from one end to the other in about 15 minutes. 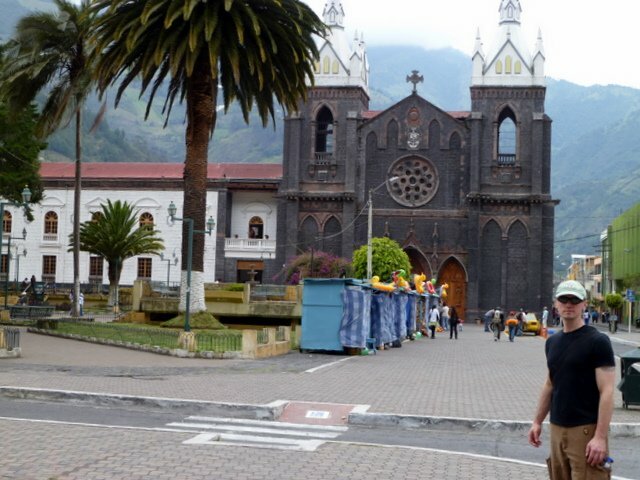 This is the main town square with the government buildings and church. Also, because of its mountainous terrain, Banos has adopted a Swiss-Alpine identity for itself. Not pictured: the many fondue restaurants and chalet-style hotels. Weird.